At Image of Beverly Hills, we believe in ongoing education! Our stylists continuously maintain up to date knowledge on the newest information and trends in the beauty industry. Staying ahead of the curve is essential when your image is a major part of your influence and character! The commitments to unparalleled service, undeniable style, and exceptional results make up the core principles at the heart of our business. Image of Beverly Hills is one of the very few hair salons in the area that is now offering custom vacuum hair pieces. We cater to those battling issues due to alopecia hair loss, temporary loss due to chemotherapy, trichotillomania and natural hereditary hair loss. 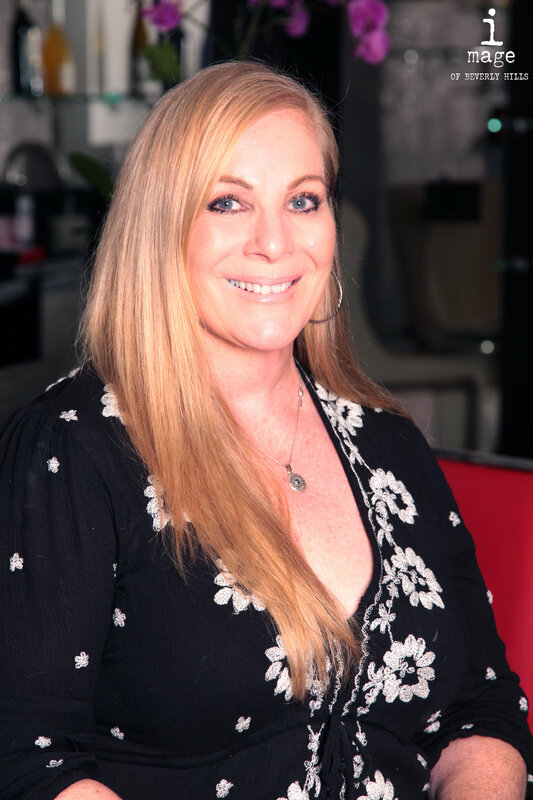 Lari Vreeken is a renowned hair stylist in Beverly Hills for over 30 years and it is her specialty to create natural looking, customized hair designs for her clients using the highest quality human hair available. In order to provide the best for our clients and wanting to offer all beauty services, we are now collaborating with M.T Skin Clinic & Beauty. Book your skin clinic appointment with Misha Tu. Lari Vreeken has become a nationally renowned favorite hairstylist to Hollywood‘s top models and actresses. She designs of one of a kind human hair compliments for men, women and children including film and theatrical clients who demand great imagination and creativity in hair design. As a compassionate hairdresser for over 25 years, experiencing frustration with manufactures who seem insensitive to the needs of people undergoing hair loss, Larri has created natural looking, customized hair designs for her clients using the highest quality human hair available. Image hair salon is now welcoming Lari and her extraordinary hair service. Christopha started his career on Boston’s Newbury Street as a teenager. He worked in Intercofer salons for over a decade, winning numerous local awards along the way. At the age of 30 he decided he wanted to work in Chicago’s Andersonville Swedish LGBT community. Christopha spent the next 10 years working side-by-side with Schwarzkopf colorist to perfect his skills. Over the years he has branched out to dry cutting techniques and tackled curly girls. Christopha is known as the go to guy to fix hair color in Chicago. Christopha does not only know the artistry of hair color but the science behind it. He has a passion for hair color and for natural blondes to brunettes. Image Salon of Beverly Hill exclusively recruited Christopha for his color knowledge and advanced cutting and style techniques. Meet Nanie a talented hair stylist and make-up artist with a passion and skill to transform clients into a work of art. After 20 years at Plaza Salon in Paramus, NJ, she relocated to Los Angeles, California. During this tenure, she was also an educator with SCRUPLES, where she trained other stylists on current trends, proper use of products and chemicals. In addition, Nanie provided exclusive services to elite clientele for magazine photo-shoots, private events, music videos, weddings, etc. Nanie’s priorities and dedication to her clients and professional reputation is displayed in everything she does, including beauty. By using precise placement techniques, she has mastered highlighting and color correction while developing her own creative cutting edge. Cosmetology provided Nanie with a license to create magic and this talent has rewarded her with the ability to touch more hearts than hair and transform individuals from within.